I am holding a series of workshops on Momoshima Island this week for a new artwork to be made for the project “100 Ideas on Tomorrow’s Island: What art can do for a better society.” On the first day we will generate ideas of what this island might look like, what kind of plants are growing there and how it might be named. The second day will include walks in the Tomari town neighborhood investigating the local history and stories of boat journeys. On the third day we will take an actual boat trip to search for this unknown island while taking notes, observing sounds and watching for signs of an island that is rumored to have vanished. For part of my ongoing research into contingent environments I was stimulated to hear a local story on a visit to Momo Island a few months ago. There was a distinctively large stone named “dango” on the tip of the penninsula right behind the small shrine in the town of Tomari. 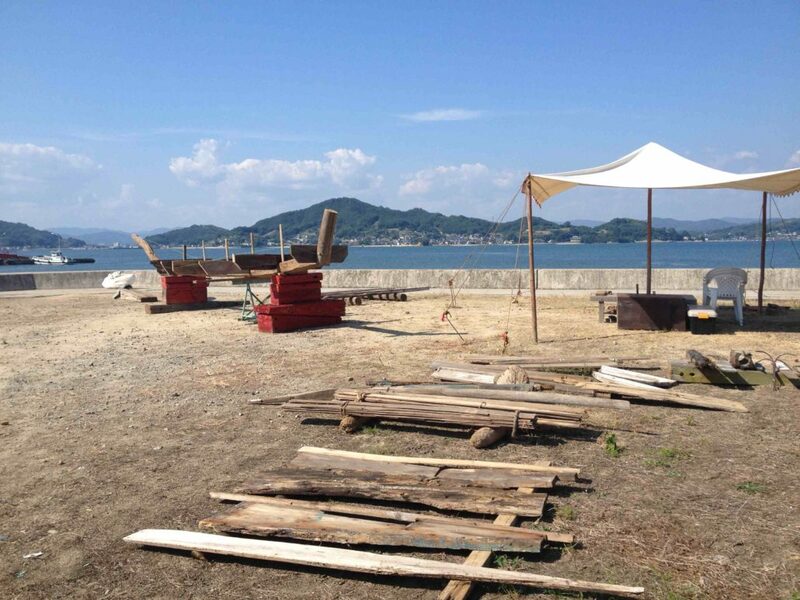 It was a sign post in the local community and part of the seascape that could be seen from most outlooks on the Seto Inland Sea. One day an intensive storm came into town. While everyone was securing their houses and boats to protect from damage the dango stone was swallowed up by the sea. Its soft sandstone base is all that remains now in the view of the sea from the small road on the tip of the town. Changes in the place are expressed in the living memories of the stone in the stories told by the island residents.